Gortskehy pupils getting ready to go into the cinema. 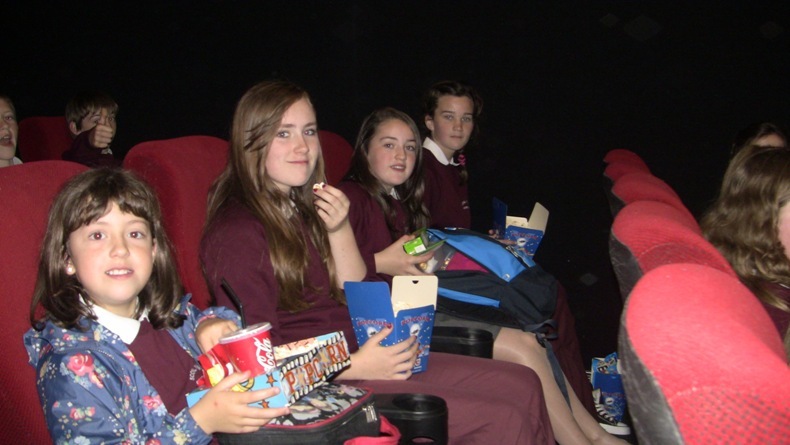 Megan, Amy, Nicola and Diane waiting for the movies to come on. 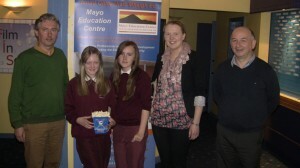 Rebecca, Amy, Gortskehy teachers and Pat Cannon, the manager of Mayo Movieworld, Castlebar. A scene from the cinema – watching our movie ‘Job Done’. 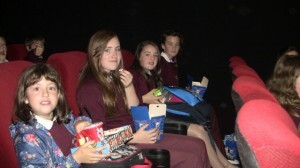 On Thursday June 14th we went to Castlebar Movie World. 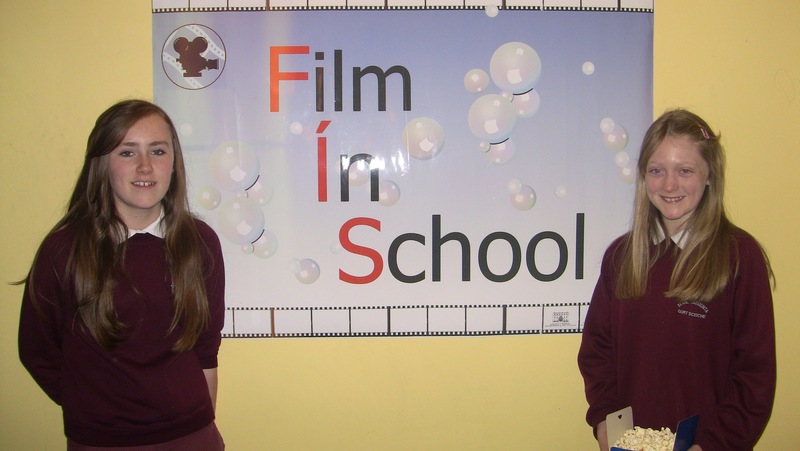 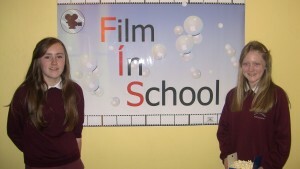 Our 5 minute movie ‘Job Done’ was being shown along with 5 other schools in Mayo. 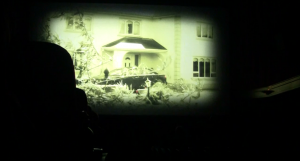 We all got popcorn and drinks. 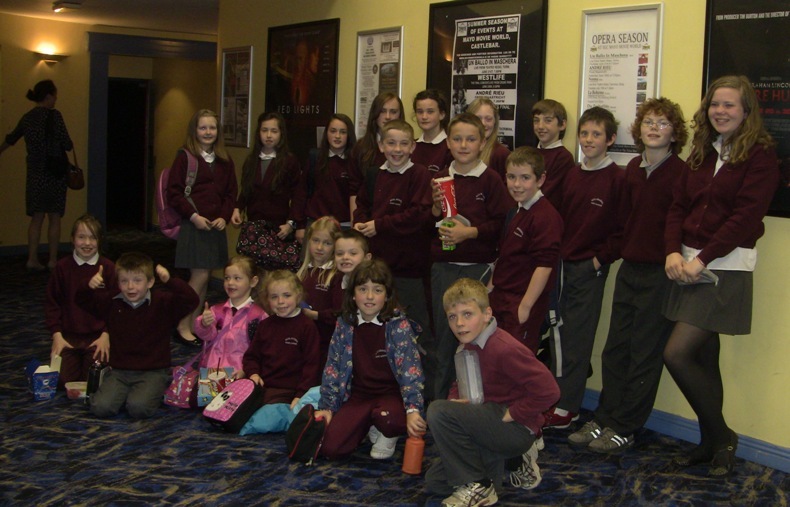 We all enjoyed our day out!